"A loving, inclusive setting where young special needs children can learn, play and grow alongside their typically developing peers." Many children who graduate from the integrated daycare join mainstream general education classes. Others, however, need additional assistance and motivation. These children spend another two years in the Center’s self-contained pre-school program which provides a high caliber staff, a goal oriented program, and data driven results. 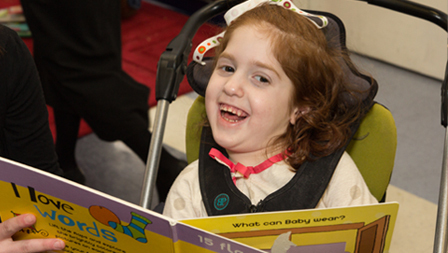 Inclusion has shown important benefits not only for the disabled child but also for typically developing children. By participating in activities together, special children learn by modeling and, as a result, show greater gains in learning resulting in higher levels of social play, greater confidence and initiation in interactions and improvements in cognitive, motor and self-help skills.